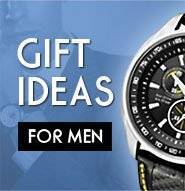 All listed watches on CreationWatches.Com come with either our Two Years Extended Worldwide Warranty or 1-2 Years International manufacturer warranty . For brands where we offer our own warranty, in case your watch requires repair or servicing, you can send the watch back to us and we will repair it for you and send it back to you. You only have to pay for the shipping charges. For watches shipped with manufacturer warranty cards, if for any reason your local service center cannot repair the watch, you can send it to us for servicing. In such cases, the 2 years extended warranty provided by us applies. All our watches are new and 100% genuine. We do not at all deal in replica/used/refurbished watches. 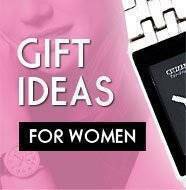 All our suppliers also deal in only genuine watches. We have quality verification measures in place to ensure that all watches are new and genuine. Each watch is quality inspected before shipping out to you. An international warranty card or a warranty sticker with the date of purchase will be pasted on the last page of the instruction manual of your watch. Also, we keep records of dates of purchases by our customers so a warranty card is not necessary while sending the watch to us for repair. Just drop us an email and we will analyse your issue. In case repair is needed we will ask you to send the watch to us, service it and send it back to you. Offering our own warranty for certain brands allows us to offer you authentic watches at discounted prices. Just like the manufacturer, our warranty covers all manufacturing defects and associated costs except the shipping costs. And to minimise the chance that you will ever need it in the first place, we inspect each watch before it leaves our warehouse so the only possible defects are those that appear during use. We have a long history of satisfying customers with 100% brand new, complete, authentic watches, attentive customer service, and fast shipping. For automatic watches, please refer to this.